Among all the "Al Ittihads" flourishing on the football scene in North Africa and West Asia, a club based in the Red Sea port city of Jeddah is surely the most popular. 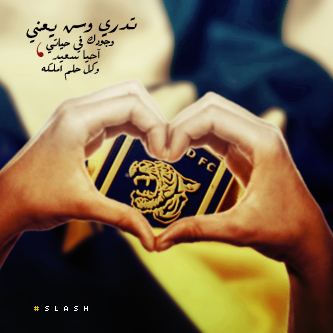 Al Ittihad of Saudi Arabia, seven-time Saudi Premier League champions, are unquestionably among the Kingdom*s best. Moreover, as the only Asian side to have won the AFC Champions League twice, the Jeddah giants have also proved a dominant power on the continental stage, something which is suitable for their nickname of "Tigers of Asia". FIFA.com takes a look at the club*s present and past. A little over three decades before the Kingdom*s Football Association was formed, a group of young football fans met in Jeddah in 1927 to discuss forming a club, and just a year later the football entity came into being. The Arabic word "Ittihad", or "United", was chosen for the club. It looked the most suitable word to represent the club*s spirit as Abdul Aziz Jameel, one of the founders and the club*s second President, was quoted as saying, "Let*s name it United (Ittihad) since we have come here as one." In the early days, football clubs ebbed and flowed in Saudi Arabia like the water of the Gulf, but Al Ittihad proved its durability, as it was the only club to survive that period. As soon as the Saudi Football Association was formed in 1957, there came the first officially organized national competition, which was known as the "King*s Cup". 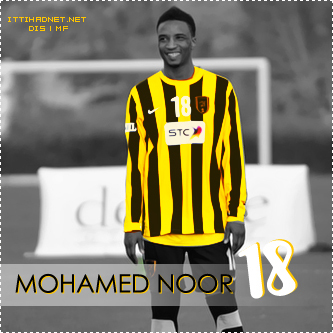 Al Ittihad failed in the inaugural competition, but they bounced back the following year to lift their first official trophy, a title they went on to claim five more times over the years. When the domestic Premier League was inaugurated in 1975, the Jeddah club naturally joined the competition. Seven years later they won their first national league title, which they recaptured time and again in the succeeding years. With the oil industry booming in the seventies, sport became more popular across the country and Al Ittihad, assisted by the government, expanded into the multi-sport titan that it is today. Having established themselves as one of the all-time superpowers in the country, Al Ittihad set their sights firmly on wider conquests. They first justified their status as the "Tigers of Asia" when they had their name carved on the AFC Asian Cup Winners Cup in 1999, after a 3-2 defeat of Korean heavyweights Chunnam Dragons in the final. Next came their surprising conquest of the AFC Champions League in 2004, in which the Saudi club swept past the likes of Chinese champions Dalian Shide and Korean outfit Chonbuk Hyundai en route to the final. There, they produced arguably the biggest shock in Asian club history when they overturned a 3-1 home defeat by Seongnam Chunma, pulling off a 5-0 away win to secure the Asian crown. The Tigers successfully defended their continental title the following year, eliminating Chinese double winners Shandong Luneng in the quarter-finals before dispatching Korean representatives Busan I*Park to book their place in the final for the second consecutive year. After keeping the inaugural winners Al Ain at bay for a goalless draw in the first leg, they made light work of the return match, scoring two unanswered goals past the UAE side to retain the title. Al Ittihad*s dream of a continental hat-trick, however, was brought to an abrupt end after their inexplicable defeat at the hands of the competition surprise packet, Syrian club Al Karama, in 2006. They even failed to make it to the Asian Champions League in 2007, due to their disappointing results in the domestic league. They did return to the continental stage this year, but failed to progress beyond the group stage. In light of this disappointment, newly appointed Argentine coach Gabriel Calderon vowed to rebuild the team in the season to come.